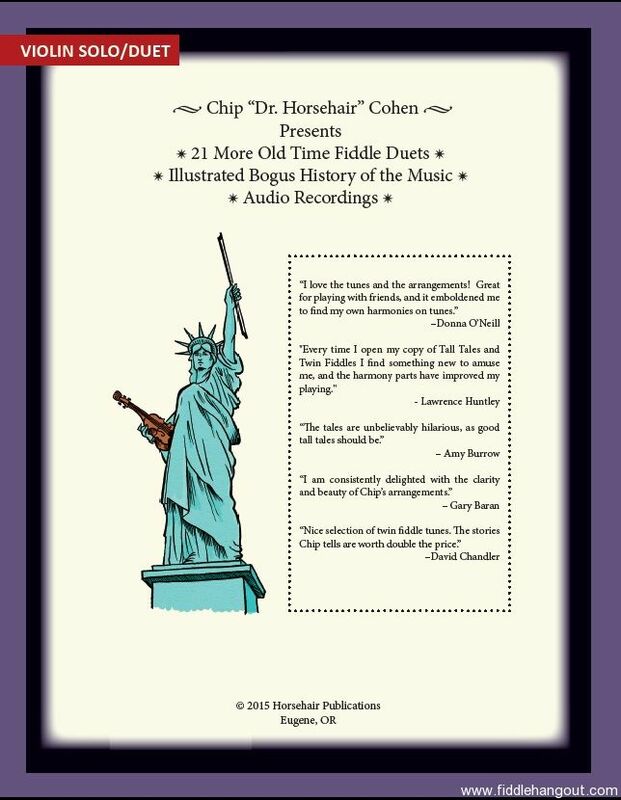 Chip "Dr. Horsehair" Cohen presents another collection of old-time tunes arranged for fiddle duet, with comical "bogus history" of the music, and illustrations by Jesse Springer. 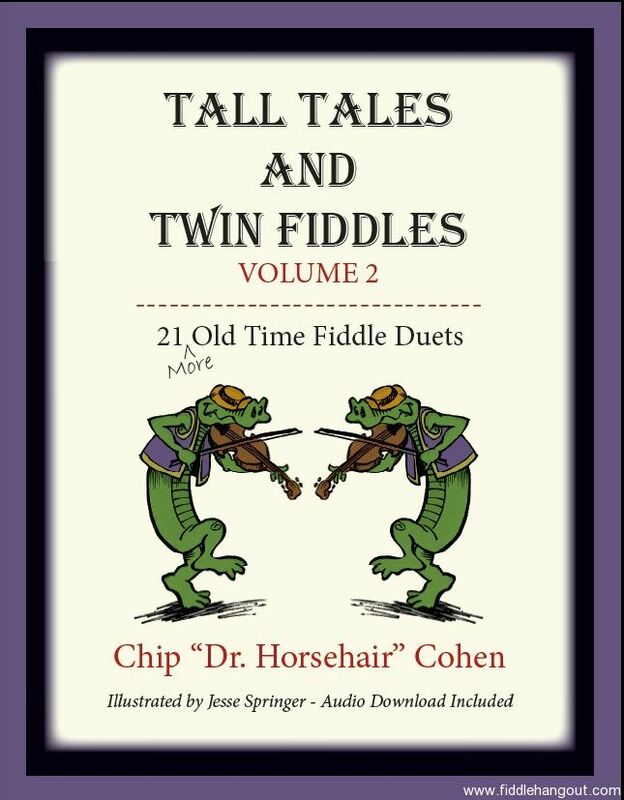 Tall Tales and Twin Fiddles includes a free audio download with recordings of both solo fiddle and twin fiddle arrangements of all the tunes in the book. This ad will automatically expire 6/7/2019 6:48:49 AM unless updated before that date. To keep the system current, ads expire if not updated for more than 60 days.